Boomerang Bags is a community initiative tackling plastic pollution at a grassroots level. 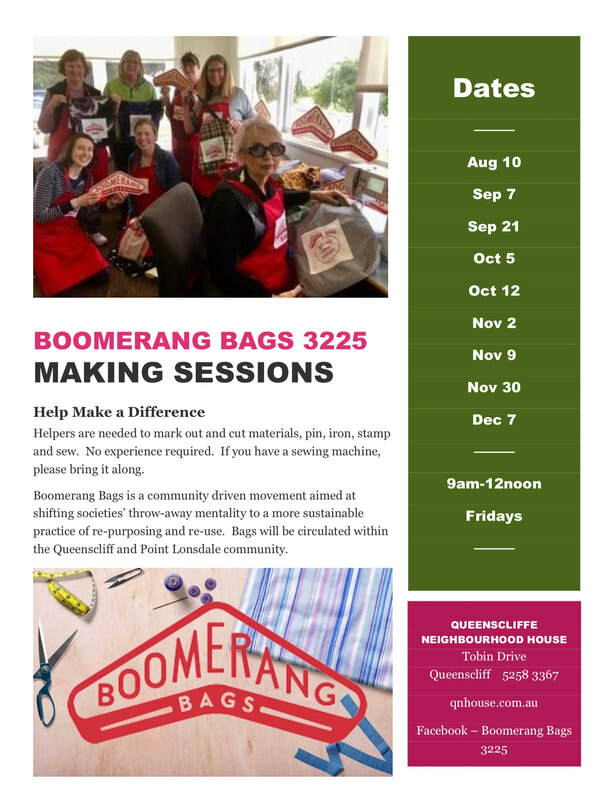 The initiative works to mobilise communities to make re-usable 'Boomerang Bags' using recycled materials, which are made available to the wider community as a sustainable alternative to plastic bags. Each Boomerang Bag is handmade by volunteers using donated second-hand materials, keeping the initiative local and sustainable. Regular 'working bees' provide a platform to engage and connect the Queenscliff and Point Lonsdale community in a positive environmental initiative. The Boomerang Bags are then provided to the local community as a means to start conversation about plastic, and encourage the sustainable behaviour of reuse. 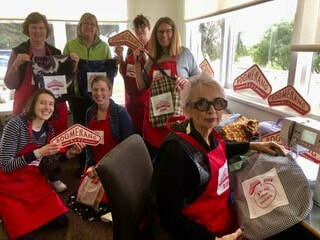 ​Boomerang Bags relies solely on the generosity, time and creativity of volunteers. If you'd like to join our community, create your own bags or simply donate materials, we strongly encourage you to get involved. 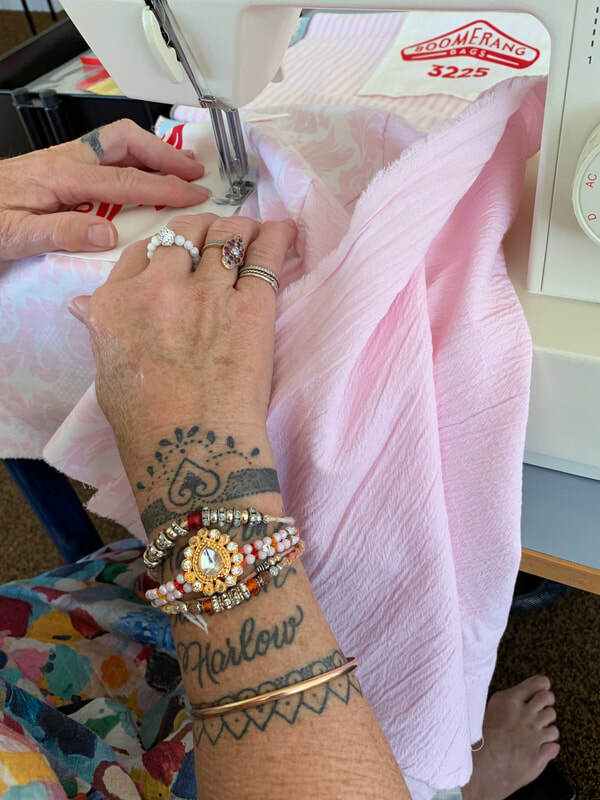 Volunteers are needed to help mark and cut materials, pin, iron, stamp and sew. All ages are welcome and no experience required. With the support of the Borough of Queenscliffe Community Environment Alliance Grant, we have been able to purchase the equipment needed to make the bags. Working bees will be held at the Queenscliffe Neighbourhood House on friday mornings.